In the lawsuit, Blankenship alleges that these news organizations (among them CNN, MSNBC, Fox News and even Breitbart) knowingly and willfully misreported him as a felon instead of a misdemeanant. 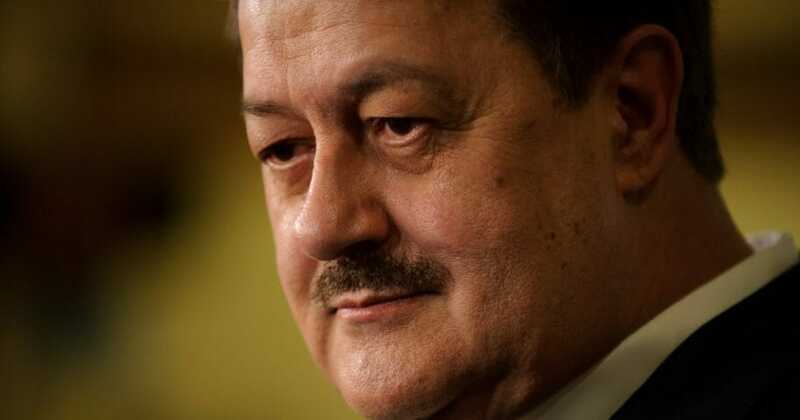 Blankenship, a former CEO of Massey Energy, was acquitted on three felonies but convicted of a misdemeanor for conspiring to violate safety regulations, after a deadly 2010 mining disaster. Blankenship cast himself as firmly anti-establishment and anti-McConnell, dubbing the longtime U.S. senator “Cocaine Mitch,” and even declaring himself “Trumpier than Trump” even after the president told West Virginians to reject the controversial candidate. He ran on a firmly populist platform which included many Trumpian policies, including “eliminating([environmental) regulations every month until the economy is growing like China’s,” working to end the opioid epidemic and building a wall along the U.S.’s southern border. But swamp-bought media hitjobs such as the one perpetrated against Blankenship prevent anti-establishment candidates from taking office and discourage them from running. Can we say with certainty that now-Supreme Court Justice Brett Kavanaugh would have dared accept his nomination by Trump had he known in advance the flurry of irresponsible reporting on unsubstantiated sexual misconduct allegations to come? And our concern shouldn’t be limited just to these cases: consider the reckless endangerment of the very lives and careers of the Covington Catholic children by the mainstream media. Prominent celebrities with huge online followings called for the names, addresses and deaths of these young boys, based on the easily-disproven narrative that they shouted abuse and even smirked at a defenseless Native-American “elder” and Vietnam War “veteran.” How can a white, male, Christian American feel safe attending political events in public — in this case, the annual March for Life in Washington, D.C. — without worrying about the mainstream media completely distorting their actions and directing a violent mob their way, howling for their blood online and in real life? What Blankenship and the Covington Catholic boys’ respective sagas prove is that the mainstream media — particularly legacy media such as The Washington Post and CNN — hold an inordinate amount of power in our society: the power to decide what constitutes reality and what constitutes fantasy. We accordingly have few places to turn when the colossus that is the mainstream media decides to pass off fiction as fact, for by controlling the flow of information to the public, they also control the political narrative minute by minute, hour by hour, day by day. The average American is always at the mercy of these once-trustworthy institutions, what some still archaically call “the Fourth Estate” of American society. In fact, Blankenship and the Covington Catholic boys are fulfilling Trump’s erstwhile promise on the campaign trail back in 2016: to “open up the libel laws,” as he put it. Although the president has yet to change the libel laws themselves, Blankenship and the Covington Catholic boys — one of whom, Nick Sandmann, has recently sued The Washington Post and CNN for defamation — can achieve the same ends by working within the existing system. Because they were so egregiously and repeatedly libeled and slandered by the mainstream media, it would take no stretch of the imagination to convince a judge that a stiff, financially painful award of punitive damages are warranted in these instances. While these two lawsuits are unlikely to yield any legal precedent, they are likely to strike fear in the hearts of dishonest journalists and looking to sensationalize a story at the expense of the lives and wellbeing of conservatives. The only way to reign in the excesses of “fake news” media is to hit them where it hurts — their pocketbooks. Words do have consequences, and no constitutional guarantee of free speech should guarantee journalists and establishment politicians the right to ruin the lives and political aspirations of the people they hate. McConnell and company should be forced to play fair and fight their enemies with the truth rather attempting to destroy their reputations on willful distortions of the facts. The only way to do this is to sue the mainstream media into compliance — or oblivion.